Hands-on technology infrastructure training comes to Seattle in March! Within hours of a disaster a DST team is deployed to the affected area. They travel to places where existing infrastructures have been ravaged and establish new communication systems to allow Red Cross workers to provide help. As the team that is often first to arrive and last to leave, they help set the tone for the success of an operation. In many ways, DST is the lifeblood of a disaster relief operation. Sharon Andrews is a regional and national leader of DST teams. 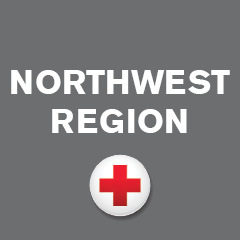 She has served 11 years with the Red Cross and deployed to over 30 disaster relief operations. Now, as the Regional Disaster Services Technology Manager, Andrews advocates for more DST trainings. Hands-on training is vital for teams to stay on top of evolving technology. Also because every member in attendance is cross-trained in-depth on each area of DST support: networking, computer operations, radio communications and customer service. There are 10 to 12 DST Hands-on Training sessions held around the country each year; though it has been several years since one was held in the Northwest Region. That all changes next month. Thanks to Andrews and other advocates from the region, 40 volunteers from as far away as Michigan will attend the Hands-on Training in Seattle, WA from March 7-9. DST team members have the opportunity to learn from an elite group of Red Cross instructors and private sector partners. This training will expand the capacity of Red Cross volunteers to bring aid and hope to those impacted by disasters. If you are an active volunteer and interested in future DST trainings, reach out to your chapter’s Volunteer Services Coordinator to find out what opportunities are available.